Great to be practicing Aikido again. After a class, I’m exhausted and often aching, but full of energy. 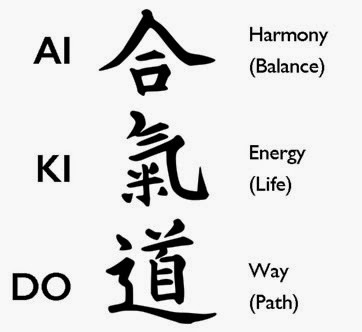 The Japanese call it Ki, which very roughly means life force, spirit, energy, motivation, and ‘spirit of movement’. “When your body makes good movements, you feel good!” Kawahara-sensei used to say. KI is close to the Western concept of Flow, which means complete absorption, and energised focus and enjoyment in the process of what you’re doing. At times I’m so engrossed in the technique, I lose myself. Mushin, the Japanese call it - ‘no mind’. Flow was one of our core goals at our old Toyota factory (TMMC). Flow of automobiles, materials, people, and information. In fact, TMMC had Seven Flows, which our senseis helped us understand and improve. Over the years I’ve been lucky enough to work in many industries including auto manufacturing, consumer goods, healthcare, software development, financial services, construction, and universities. Each industry has characteristic flows. It’s the sensei’s job to help our colleagues see them, so we can fix them. Similarly, there’s an underlying unity in management, which the great senseis uncover and teach. Each of the industries noted above look very different on the surface. But over time, you’ll begin to notice the same patterns. If I may mix metaphors, the same chess positions arise. The pieces and board may look different, but it’s all the same. Our job is to recognize the different positions, and to help our colleagues make good moves in our (ceaseless) pursuit of Purpose.